Spin Group is currently managing the Milwaukee Zoological Society’s Zoo Pass Android/iOS app. They recently asked us if we could set up a Bluetooth location based notification system throughout the Milwaukee County Zoo. We had some ideas on how to implement this idea, so we agreed. Visitors to the zoo with supported Android devices as they walk through the zoo will notice notifications on their phone appear based on where they are in the zoo. The visitor does not need to have the Zoo Pass app installed. These notifications give visitors more information on projects throughout the zoo and give visitors an opportunity to donate toward those projects. One of the notifications Zoo Visitors will see. We placed 13 all-weather Bluetooth beacons throughout the zoo grounds. The beacons send out a signal to nearby android devices triggering a "Nearby" notification card on the device. This notification, can be modified by us or the Zoo. These cards can direct users to websites/apps with buttons/links, or just be informational by themselves. We decided to go with Beaconstac a platform for managing Bluetooth beacons and their notifications for the simplicity of setting them up and for ongoing maintenance. We can remotely update the notificaitons without needing to go back and walk through the zoo grounds. 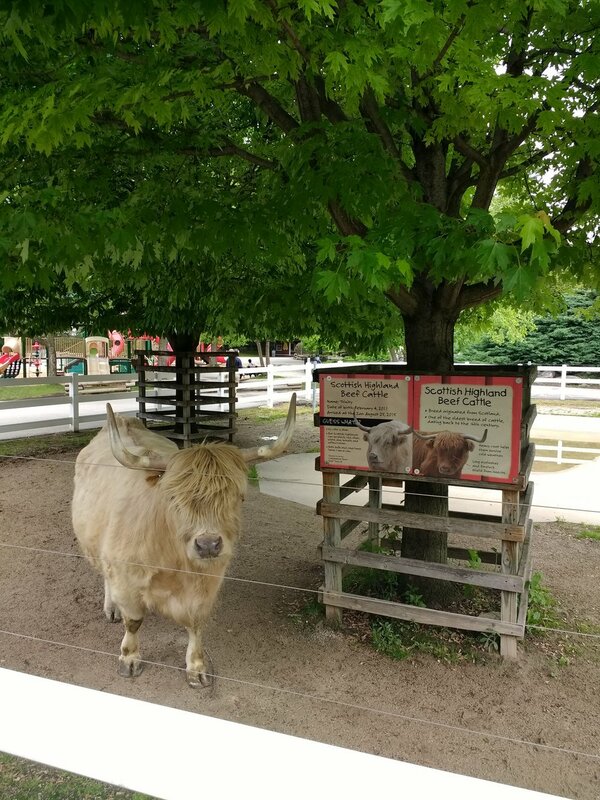 This Scottish Highland Beef Cattle at the Milwaukee County Zoo was happy to see our system working properly. Our first usage of the system was to show users a new exhibit and direct users to a fundraising campaigns. Our client can also view notification and click-through analytics in Beaconstac's slick online dashboard. Additional features include a mobile app that allows administrators to dial-in broadcasting strength and advertising intervals. The bottom line? The Beaconstac notification system was a great way to fulfill our clients need to boost customer engagement. We will be monitoring the system's performance over the next several weeks.